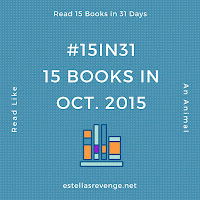 On the blog, Estella's Revenge, I saw a reading challenge that really appeals to me. Instead of reading any particular types or genres of books, it's just about reading more books. I need to read more. I know I read a lot but reading helps me with stress, worry, and I just like it. Sometimes, short books are dense and can read like long books. I suspect this of the Solzhenitsyn, Hesse, and McPhee. Sometimes I can read 200-350 page books in just two hours. I expect a large number of the books on the above list will be knocked out by November 1 but by no means all of them. Probably at the top of the list will be the Sedaris, Skurnick, and Lipman. I also will be listening to a couple of audio books on my drive to Nashville for the Southern Festival of books later this week. And I will likely read a couple of YA novels. 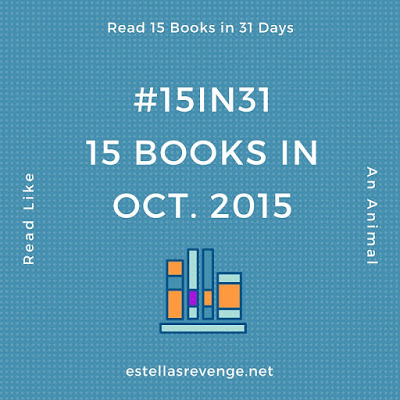 I did read 13 books back in July without trying, so this should be do-able! See you Nov. 1 for the summary!